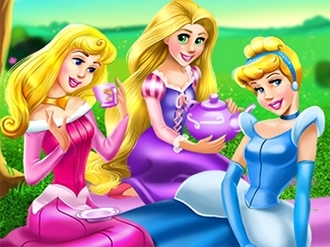 Cinderella, Rapunzel and Aurora haven't seen each other in a while and they have some catching up to do! 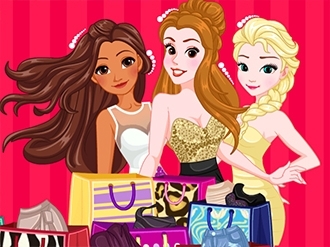 Join your favorite Disney princesses in a cute new game. Go with them on a picnic and make sure the girls look classy as always. They are going drink some delicious tea and eat fresh fruits. 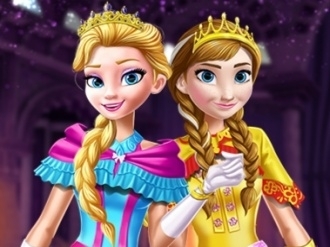 Style their blonde hair and choose for them the fanciest dresses. You can even change the scenery...isn't that great? Where will the picnic take place? It's up to you! Beautiful Jasmine is not that little daddy’s daughter anymore. She is now an independent grown-up woman, with an impeccable and sophisticated sense of style. Being modern woman, she simply adores indulging herself with fabulous days at the spa, pampering and enjoying all the beauty treatments. Make sure that she is having a really fun time at your salon! It’s a big day in Arendelle and our princesses need to get ready for the ceremony of coronation where Elsa is going to begin her rule of the kingdom. You have to prepare the sisters in this dress up game with beautiful and unique dresses for the event they are going to attend. Put the crown on and don’t forget to add a suitable pair of gloves that will be in perfect match with the shoes you’ve chosen. 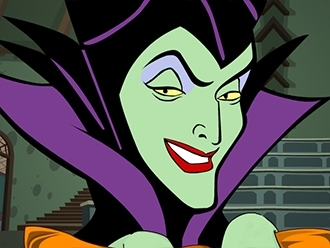 Can you help this pretty villain to celebrate this Halloween with wonderful nails? Give her a beautiful manicure and decorate her hands with suitable ornaments and have a Spooky Halloween with Maleficent.